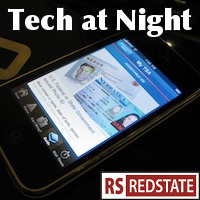 Tech at Night: FCC threatening rural broadband competition. Leave it to the Obama administration to botch everything. Trying to shortchange rural TV stations will only discourage them from participating in incentive auctions, therefore harming universal access and competition in the rural broadband market. More wireless means more competition, folks. Allowing TV stations to reap the full rewards of selling off their spectrum is win-win. My thought for the day: criminalization of copyright infringement is a PR subsidy for big content firms.